©2019 Mercedes-Benz Canada Inc. 2019 Mercedes-Benz GLC shown above for illustration purposes only. Receive up to $2,000 on the 2019 Mercedes-Benz GLC 300 4MATIC SUV stock number 299000 with 3,100 kms model only. 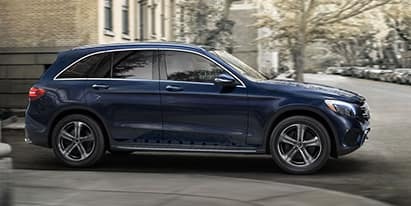 *Total price for 2019 Mercedes-Benz GLC 300 4MATIC SUV stock number 299000 with 3,100 kms includes MSRP of $63,615 Freight and PDI ($2,695), DOC of $495, environmental levies of $100 and EHF tires of $20. Registration, insurance, Admin ($495), PPSA up to $48.45 and taxes extra. **Finance offers available only through Mercedes-Benz Financial Services on approved credit for a limited time, finance / lease for up to 60 / 45 months. 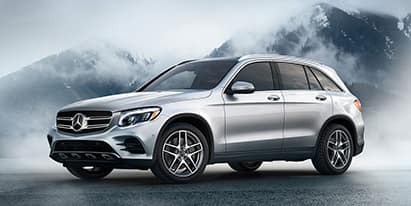 †3 month payment waivers for 2019 Mercedes-Benz GLC 300 4MATIC SUV models are capped up to $550 (incl. tax) for lease programs and up to $750 (incl. tax) for finance programs. Models are valid for finance offers, and is a combination from Mercedes-Benz Canada and Three Point Motors. Offers may change without notice and cannot be combined with any other offers. Offers ends April 30th, 2019. Please see Three Point Motors for complete details. DL 9818 #30817. ©2019 Mercedes-Benz Canada Inc. 2018 Mercedes-Benz GLA shown above for illustration purposes only. Receive up to $9,000 on the 2018 Mercedes-Benz GLA 250 4MATIC SUV stock number 297360 with 4,956 kms model only. 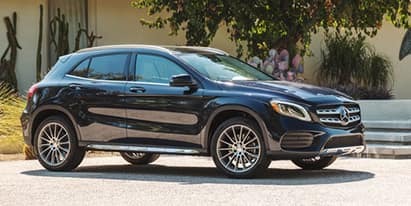 *Total price for 2018 Mercedes-Benz GLA 250 4MATIC SUV stock number 297360 with 4,956 kms includes MSRP of $49,495 Freight and PDI ($2,695), DOC of $495, environmental levies of $100 and EHF tires of $20. Registration, insurance, Admin ($495), PPSA up to $48.45 and taxes extra. Models are valid for finance offers, and is a combination from Mercedes-Benz Canada and Three Point Motors. Offers may change without notice and cannot be combined with any other offers. Offers ends April 30th, 2019. Please see Three Point Motors for complete details. DL 9818 #30817. ©2019 Mercedes-Benz Canada Inc. 2018 Mercedes-Benz GLE shown above for illustration purposes only. Receive up to $10,500 on the 2018 Mercedes-Benz GLE 400 4MATIC SUV stock number 274910 with 7,436 kms model only. 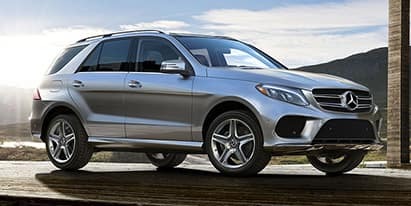 *Total price for 2018 Mercedes-Benz GLE 250 4MATIC SUV stock number 274910 with 7,436 kms includes MSRP of $79,640 Freight and PDI ($2,695), DOC of $495, environmental levies of $100 and EHF tires of $20. Registration, insurance, Admin ($495), PPSA up to $48.45 and taxes extra. Models are valid for finance offers, and is a combination from Mercedes-Benz Canada and Three Point Motors. Offers may change without notice and cannot be combined with any other offers. Offers ends April 30th, 2019. Please see Three Point Motors for complete details. DL 9818 #30817. ©2019 Mercedes-Benz Canada Inc. 2018 Mercedes-Benz C-Class Cabriolet shown above for illustration purposes only. Receive up to $9,000 on the 2018 Mercedes-Benz C 300 4MATIC Cabriolet stock number 173690 with 4,430 kms model only. *Total price for 2018 Mercedes-BenzC 300 4MATIC Cabriolet stock number 173690 with 4,430 kms includes MSRP of $65,300 Freight and PDI ($2,395), DOC of $495, environmental levies of $100 and EHF tires of $20. Registration, insurance, Admin ($495), PPSA up to $48.45 and taxes extra. Models are valid for finance offers, and is a combination from Mercedes-Benz Canada and Three Point Motors. Offers may change without notice and cannot be combined with any other offers. Offers ends April 30th, 2019. Please see Three Point Motors for complete details. DL 9818 #30817. ©2019 Mercedes-Benz Canada Inc. 2018 Mercedes-Benz C-Class Sedan shown above for illustration purposes only. 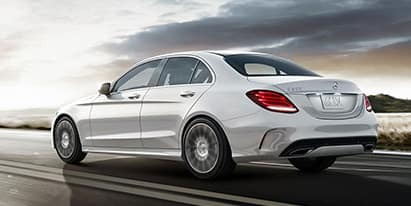 Receive up to $10,000 on the 2018 Mercedes-Benz C 300 4MATIC Sedan stock number 166160 with 6,857 kms model only. 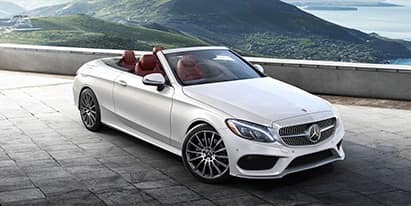 *Total price for 2018 Mercedes-BenzC 300 4MATIC Cabriolet stock number 166160 with 6,857 kms includes MSRP of $58,865 Freight and PDI ($2,395), DOC of $495, environmental levies of $100 and EHF tires of $20. Registration, insurance, Admin ($495), PPSA up to $48.45 and taxes extra. Models are valid for finance offers, and is a combination from Mercedes-Benz Canada and Three Point Motors. Offers may change without notice and cannot be combined with any other offers. Offers ends April 30th, 2019. Please see Three Point Motors for complete details. DL 9818 #30817. ©2019 Mercedes-Benz Canada Inc. 2018 Mercedes-Benz CLA shown above for illustration purposes only. Receive up to $7,500 on the 2018 Mercedes-Benz CLA 250 4MATIC Coupe stock number 163230 with 4,821 kms model only. *Total price for 2018 Mercedes-Benz CLA 250 4MATIC Coupe stock number 163230 with 4,821 kms includes MSRP of $48,395 Freight and PDI ($2,395), DOC of $495, environmental levies of $100 and EHF tires of $20. Registration, insurance, Admin ($495), PPSA up to $48.45 and taxes extra. **Finance offers available only through Mercedes-Benz Financial Services on approved credit for a limited time, finance / lease for up to 60 / 45 months. 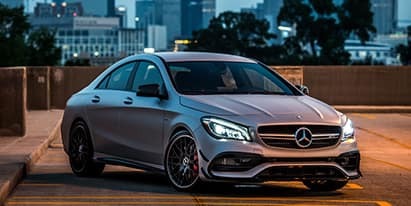 †3 month payment waivers for 2019 Mercedes-Benz CLA models are capped up to $400 (incl. tax) for lease programs and up to $600 (incl. tax) for finance programs. Models are valid for finance offers, and is a combination from Mercedes-Benz Canada and Three Point Motors. Offers may change without notice and cannot be combined with any other offers. Offers ends April 30th, 2019. Please see Three Point Motors for complete details. DL 9818 #30817. ©2019 Mercedes-Benz Canada Inc. 2018 Mercedes-Benz E-Class Coupe shown above for illustration purposes only. Receive up to $10,000 on the 2018 Mercedes-Benz E 400 4MATIC Coupe stock number 19335X with 4,902 kms model only. 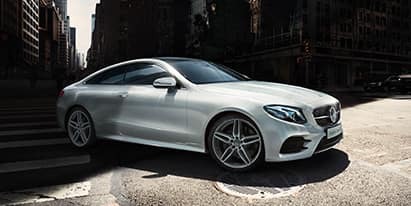 *Total price for 2018 Mercedes-Benz E 400 4MATIC Coupe stock number 19335X with 4,902 kms includes MSRP of $85,650 Freight and PDI ($2,395), DOC of $495, environmental levies of $100 and EHF tires of $20. Registration, insurance, Admin ($495), PPSA up to $48.45 and taxes extra. Models are valid for finance offers, and is a combination from Mercedes-Benz Canada and Three Point Motors. Offers may change without notice and cannot be combined with any other offers. Offers ends April 30th, 2019. Please see Three Point Motors for complete details. DL 9818 #30817. ©2019 Mercedes-Benz Canada Inc. 2018 Mercedes-Benz GLC shown above for illustration purposes only. Receive up to $4,870 on the 2018 Mercedes-Benz GLC 300 4MATIC SUV stock number 213940 with 4,700 kms model only. *Total price for 2018 Mercedes-Benz GLC 300 4MATIC SUV stock number 213940 with 4,700 kms includes MSRP of $62,065 Freight and PDI ($2,395), DOC of $495, environmental levies of $100 and EHF tires of $20. Registration, insurance, Admin ($495), PPSA up to $48.45 and taxes extra. Models are valid for finance offers, and is a combination from Mercedes-Benz Canada and Three Point Motors. Offers may change without notice and cannot be combined with any other offers. Offers ends April 30th, 2019. 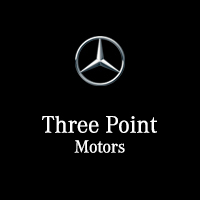 Please see Three Point Motors for complete details. DL 9818 #30817.